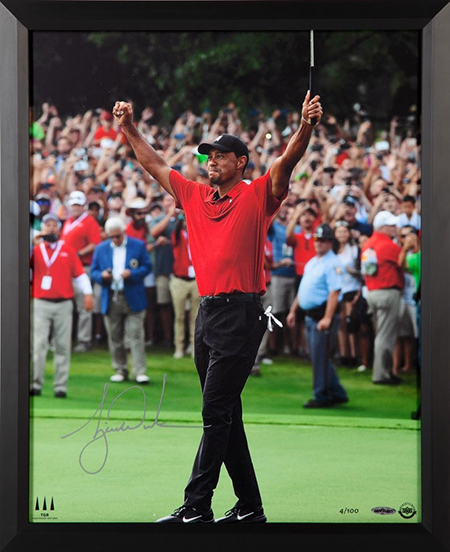 Following his incredible victory at the 2019 Masters Tournament in Augusta, Georgia, there is definitely a renewed interest in Tiger Woods autographed collectibles. Since 2001, Upper Deck Authenticated has been the exclusive provider of authentic signed collectibles from the five-time Masters champion. 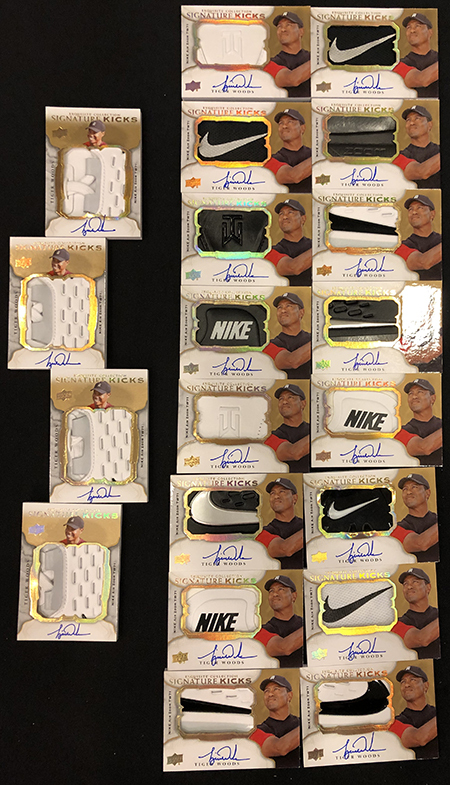 Check out the Tiger Woods Signature Collection! Upper Deck has been creating compelling Tiger Woods trading cards since 2001 as well. Tiger has been a big part of the annual Goodwin Champions product that comes out every summer. 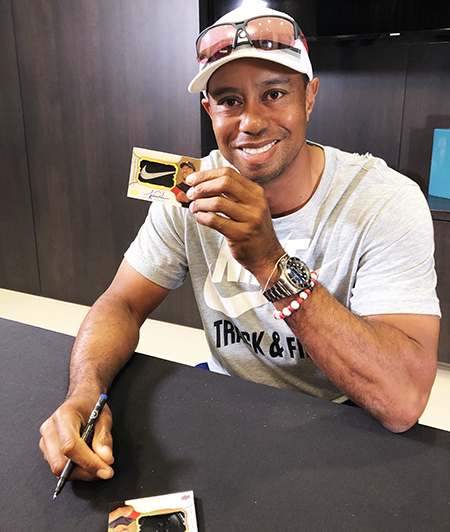 Prior to the Masters, Upper Deck sat down with Tiger for a signing session where he signed a new type of card for the product this year; Signature Kicks. Previously these Signature Kicks cards were only used in Upper Deck’s Exquisite product, but now they will be a key driver for the 2019 Goodwin Champions set. Upper Deck takes cool pieces of popular shoes, embeds them in trading cards and then has the athlete add their autograph to the super thick card. Tiger’s cards feature cut pieces from his popular Nike Air Zoom TW71 golf shoes and here is a look at them! Fans will certainly be fist pumping if they are lucky enough to score them from packs of 2019 Goodwin Champions which releases early this summer!